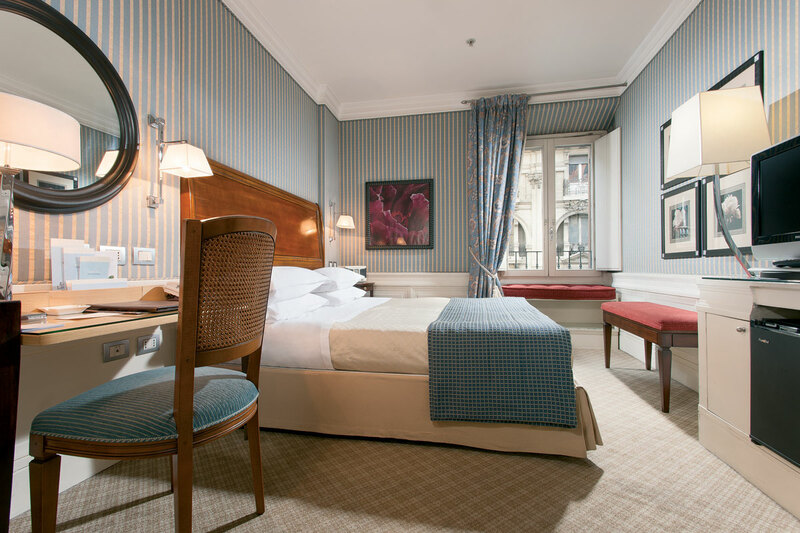 Our spacious Superior rooms include Cd-player, radio, bath robes, scale and slippers. 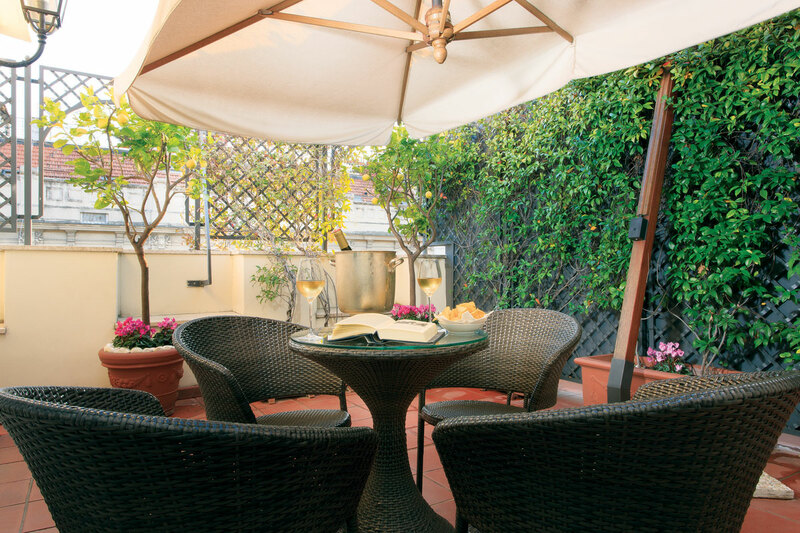 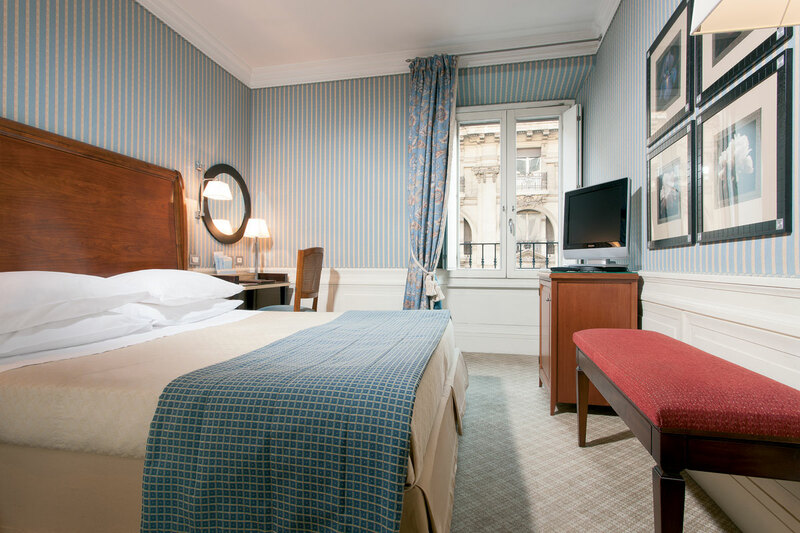 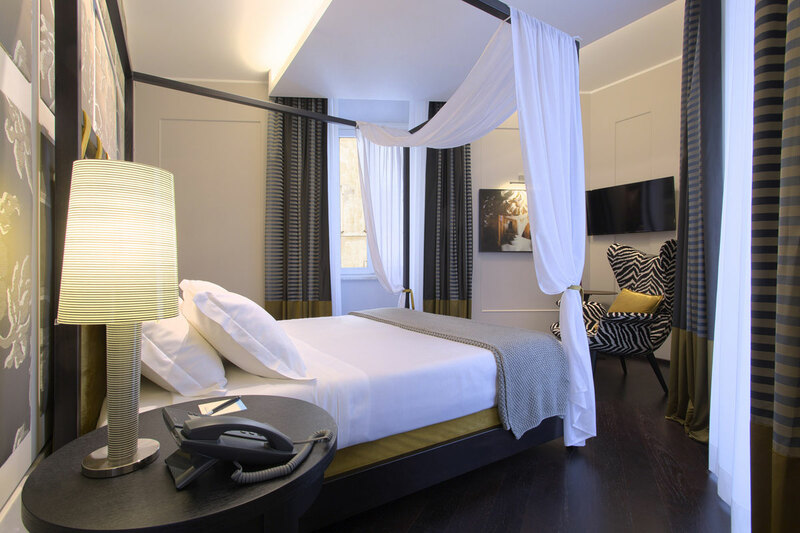 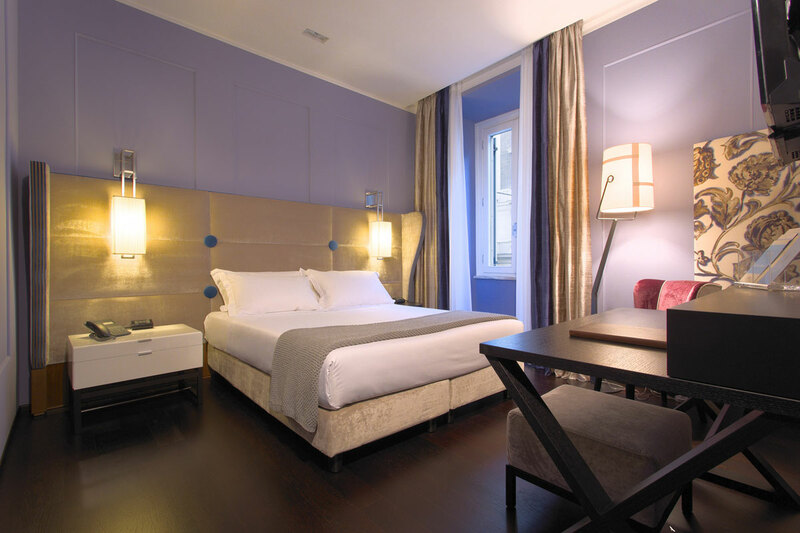 Our Executive Rooms offer the same characteristics of the Superior room plus a large terrace with a view overlooking Piazza Barberini, patio table, umbrella and chairs, a complimentary welcome drink and fruit basket, and breakfast served in your room on request. 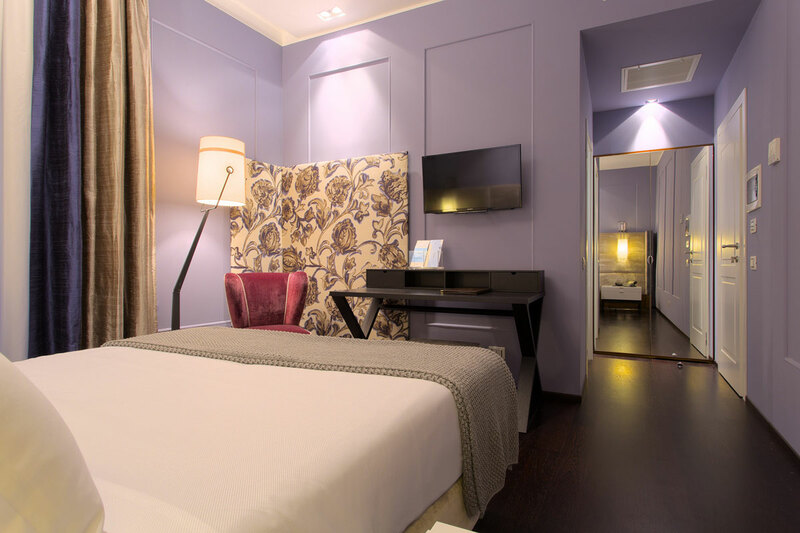 Autonomous Air Conditioning, Direct Dial telephone, Internet Access via laptop, Satellite TV, Mini Bar, Safety Deposit Box, Private Bathroom with either Bathtub or Shower which includes Complimentary quality toiletries to pamper your skin as well as a hair dryer and telephone. 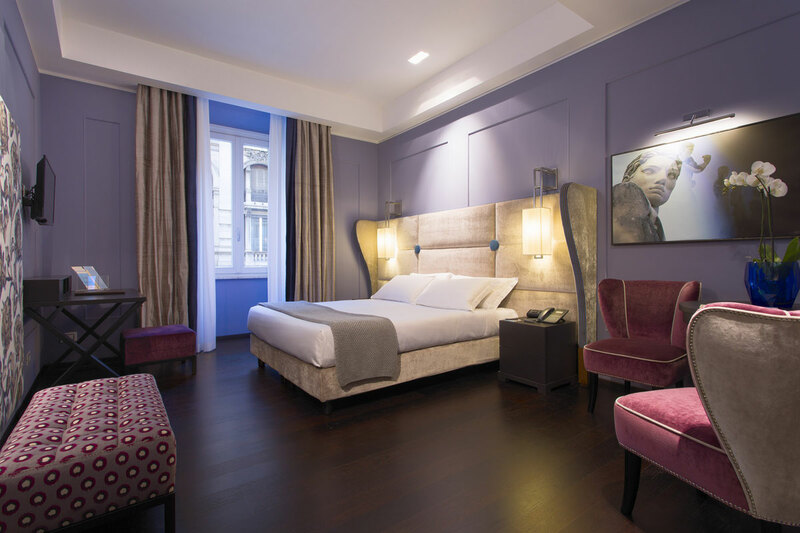 Hotel Stendhal Rooms are all soundproofed and designed with the utmost care in choosing colors and materials to ensure that our guests can enjoy a unique experience.